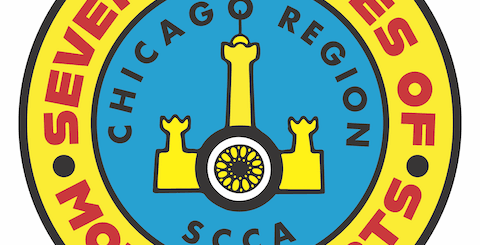 Come join SCCA Chicago Region on Saturday, March 23, at 1 p.m. for an exciting and informative gathering to learn more about a competitive team in a very competitive race series. The Checkered Flag Party celebrated the past year as it welcomed in the next. One-hundred and forty people joined the festivities at Ferrari Lake Forest. The Chicago Region SCCA invites you to join us on Saturday March 23rd at Blackdog Speed Shop, 600 Barclay Blvd., Lincolnshire, IL. Ray Sorenson; Vice-President and Race Team Manager will share some stories and information about the team and the Pirelli World Challenge as the Blackdog Racing Team enters their 2019 race season. No flimflam, no gimmicks, just another great opportunity for some Cheese, Wine, and Beer and to spend the day with friends for some “Fun with cars”. Save the date, Saturday, April 27, 2019 the next Chicago Region SCCA backroads tour. At this years Checkered Flag Party, February 16th the Region is offering a one of a kind, pencil sketch drawn and signed by automotive / racing artist Jim Swintel. Come join us on Saturday, January 12, 2019 at 5:00 PM to celebrate the 2018 Autocross Season at Emmett’s Brewing Co.
Mark your calendar now! Plan to attend this great annual social get-together — the Checkered Flag Party — sponsored by the Region to thank our members for a great 2018. Just about three years ago the Chicago Region started what is now known as the “FUN Committee”. Our goal is to create interest and promote social activities within existing and new club events. On October 20th, the Chicago Region SCCA members and friends were guests of Blackdog Speed Shop to visit and tour their brand new facility which houses a state of the art Speed Shop.